We believe in the power of the internet. 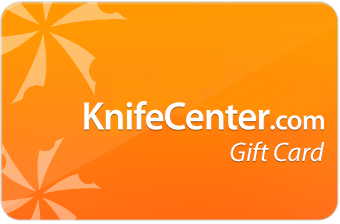 The KnifeCenter was created in 1995, at the beginning of the web's popularity, to utilize the tremendous resources of the internet to bring to the public the most information about, and access to, the largest selection of cutlery related products anywhere. In addition, we attempt to offer the best prices and the very best service possible. That is our goal and your business and compliments tell us how we are doing. We are now in the midst of our third decade on the internet. We were the first web site selling production knives like Buck and Henckels and we are still the internet resource for all things related to cutlery, shaving and security. We are the original on-line catalog of cutlery, created in 1995, and this is the largest catalog of its kind anywhere. 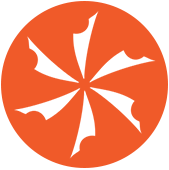 Although this website is large, we are a relatively small company and offer our customers personalized service. When you call us, you will likely speak first with Janie, Nicole, Katelin, Kristin or Cheryl and we will try to make the purchasing process as easy as possible. We have some experienced knife people on staff as well as technical experts. If one of our sales assistants doesn't have the information you need, they should be able to point you towards it. The internet is still about information and the attempt here at the KnifeCenter of the Internet is to give you as much information as possible. We are not limited by printing costs as a mail order catalog is and we are not owned by any manufacturing company and so can bring you the full range of products. The KnifeCenter has an incredibly wide range of items. The focus is on variety and quality. You can view and compare thousands of items from the finest manufacturers. Our goal is to have every type of cutlery product available anywhere - from Pizza Tools to combat knives - and, to this end, we are constantly adding new products and indexing them. When you want to buy an item, you can see what is really available on the world market and not only what your local retailer decides to carry. If you shop and compare you will see that our prices are rock bottom. We have long term relationships with most of the manufacturers and distributors and are always finding new and better sources and prices. When we get a close-out special deal on a product it is put right up on the Specials page to pass the savings on to you. Also, please note that there are not any "hidden costs" like you may see elsewhere. We charge the same for cash or charge and the shipping costs we charge are very close to what we have to pay - unlike a lot of mail order companies you may have dealt with. Every business is a service enterprise. We want you, our visitor and customer, to be satisfied. First of all, your purchase is backed by our guarantee that you will be satisfied. You can return anything you purchased from us within 60 days in its original packaging and condition for a full refund of the purchase price or credit. This does not include the custom and semi-custom items which have their own rules. See Our Return Policy. Also, we will try to keep the website fast. Images are kept small and most are placed deep in the site so that you don't have to wait for long downloads you don't really want to see. Every customer should be treated with respect and be made a priority and we try to do that. The best reward so far are the many Readers' Comments we get from satisfied customers who appreciate the work involved in trying to meet their needs. Questions come in daily over the telephone and email from the far reaches of the planet on many diverse topics. We try to reply to every question but the email system is not perfect and there are many messages which come back undeliverable. So if you don't get a reply please don't take it personally, just try again. Your personal information is handled in a confidential manner. Our order form is as secure as they can be. We use secure software to encrypt all transactions. All of our records are "fire-walled" from outsiders. Your orders are handled in the most efficient manner possible so that you receive your item(s) as quickly as possible. I hope that you find our area of the web a pleasant and informative place to shop for our products. Here you can view, compare and learn about much of the cutlery related items commercially available today. Like most large web sites this one is continually growing and, if you visit here often, you know that the KnifeCenter changes almost daily. We are firm believers in web commerce and feel it can offer the citizens of the world a greater variety of goods and information about those goods than any other medium. We value the feedback we get from our customers so that this site can get better all the time. Let me thank all of our customers; the new ones as well as our regulars (some have been with us from the start back in 1995). Without your support and feedback we would not be able to proceed. So, KEEP CHECKING BACK! Howard Korn - CEO and founder of KnifeCenter, Inc.